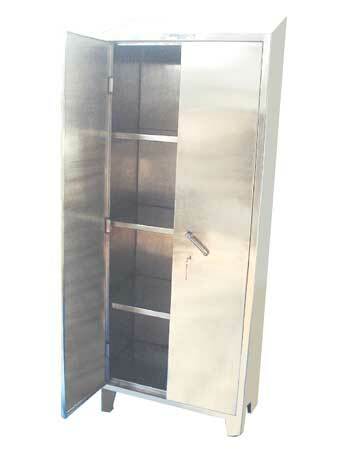 We are the leading Manufacturer and Supplier of Stainless Steel Cupboards. Our Stainless Steel Cupboards are used for Sterile Clothing, Change Parts, Documentation and Storage. These Cupboards are mainly used for storage in clean areas of Pharmaceuticals factories. The Stainless Steel Cupboards Manufactured by us are available in various sizes, shelves configurations, with UV Lamps and different combinations of doors with glass for view contents.